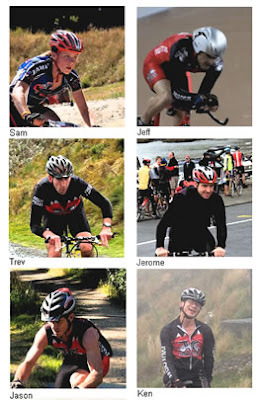 J'ville Cycles proudly sponsors the following riders. "I was riding casually down the road during Day 7 of The LUT (29 Feb) when my gear suddenly slipped, leaving me going at about 25-30km/h without any control. I think my left leg hit the ground first. Next thing I knew I was lying on the ground with my foot at a funny angle and my tibia sticking out of my leg. I yanked on my foot and straightened it and stuck my bone back in the skin, at which point Jason and Tony arrived. I had Tony put traction on my foot to keep it flopping all over the place, and then we splinted it with some sticks and a wine box and some bandages."